Combine all ingredients in a mixing bowl. (Except for the bread) season with a little seaweed salt and pepper. Set aside. Flatten the bread using a rolling pin. You may trim the edges (if so, add the trimmings on the tuna mixture). 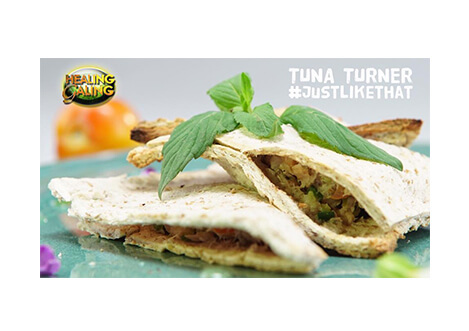 Add a spoonful of your tuna filling. Fold and crimp the edges with a fork. Brush with some egg whites to seal the deal. Pop in the oven toaster for 4-5 minutes per side.